Well done! Are we good? Good. 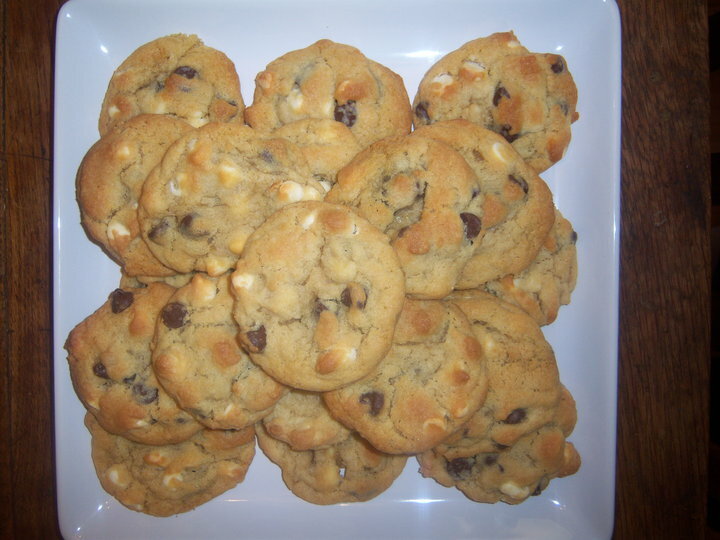 ‘Cause these are some seriously delicious cookies, even if I say so myself. I developed them, if you will, while on exchange in Finland. They are now, 14 years later, my most requested cookie. I share them with you because I love you. And because most of you live to far from me that I can’t make them for you personally. I wish I could! 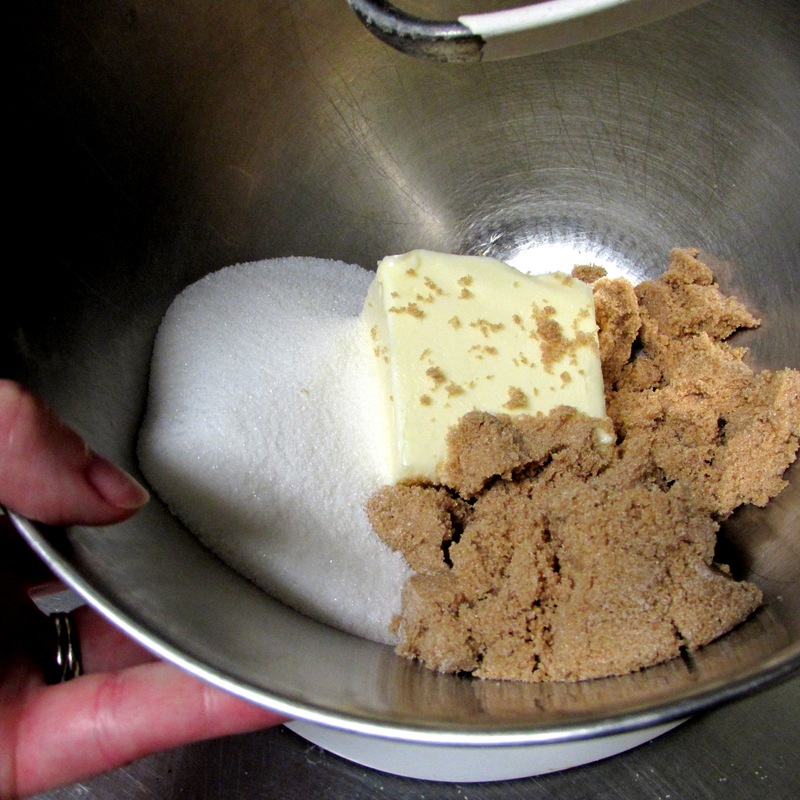 Like any basic cookie recipe you begin by sifting the flour into a large bowl and setting it aside. Along with white sugar and light brown sugar. 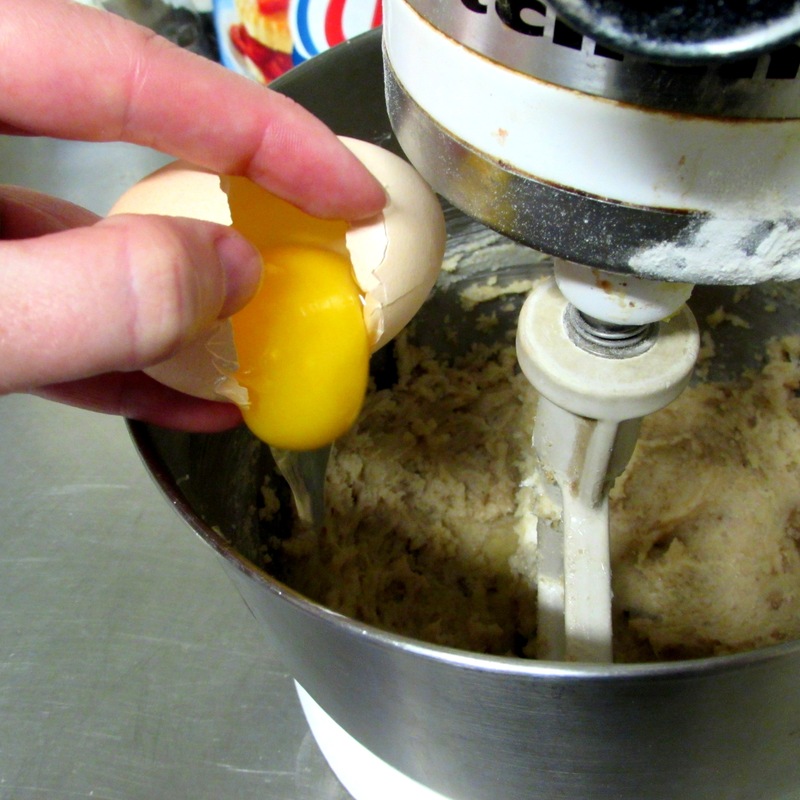 I’ve made these cookies so many time I’ve worn the tip off my paddle attachment, see? I keep waiting for the Pioneer Women to gift me with one……..only I can’t decided which floral pattern I want most…..
Add some good, fresh eggs…..
After the eggs comes the extracts and this is where is gets super-crazy and wicked good……not only do you add vanilla extract, you also add almond extract! I told you it was wild! 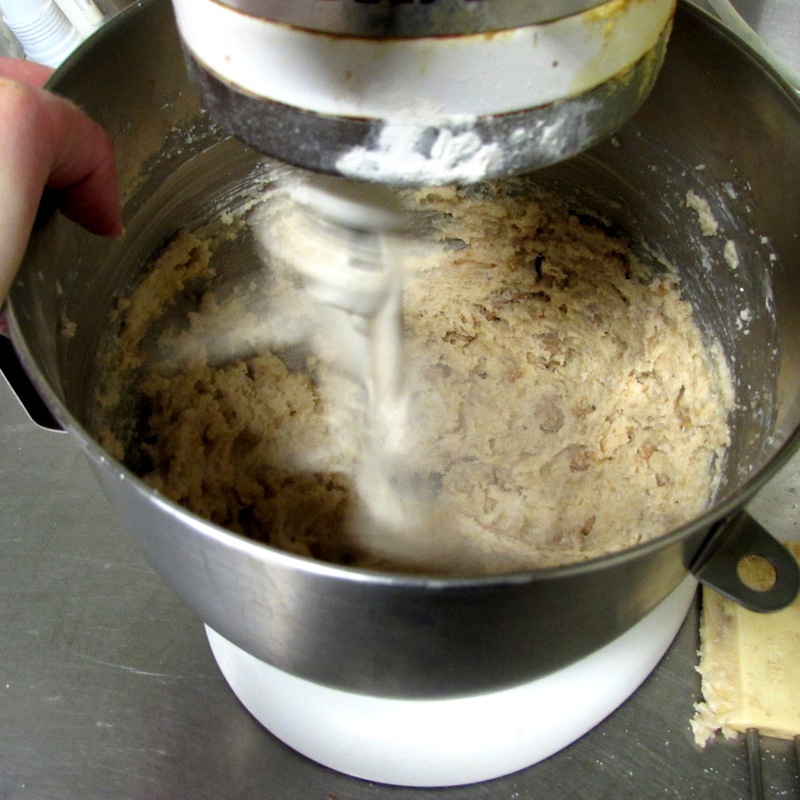 Now slowly add those dry ingredients…. …….until they are fully incorporated. Now for the fun part, chocolate! 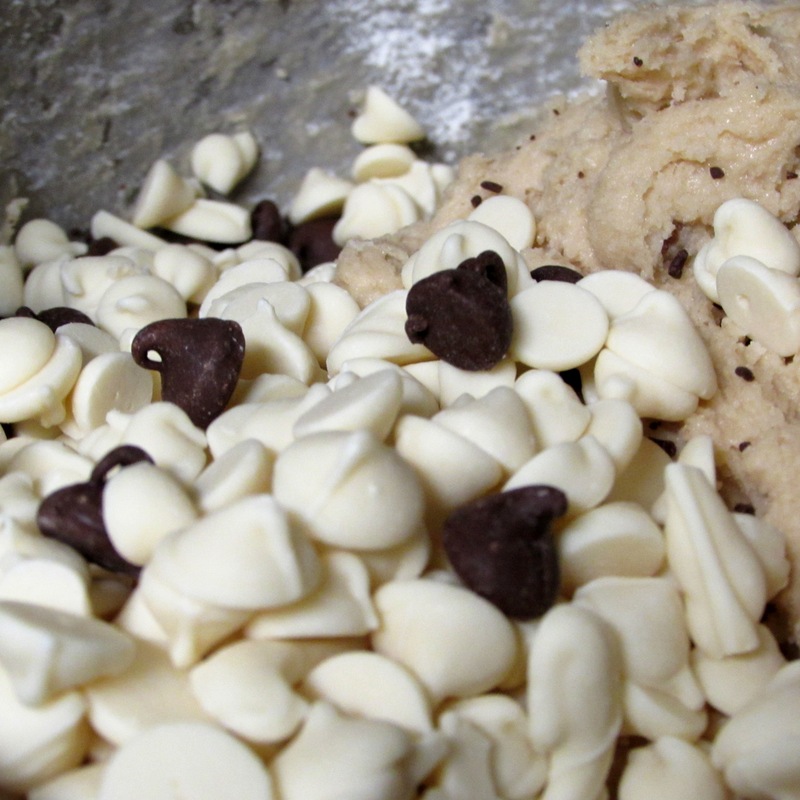 Not only are we gonna add semi-sweet chocolate, we are gonna add white chocolate too! Mix up and eat it all straight from the bowl. Just kidding! Only eat like 3 spoonfuls. 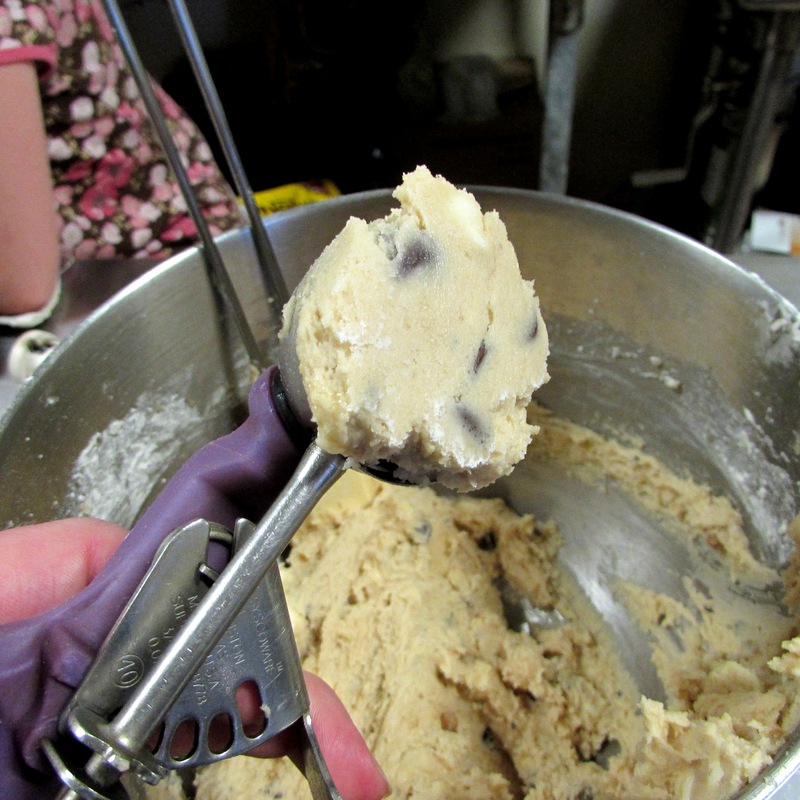 Using a cookie scoop, plop them onto a cookie sheet. Bake just until light gold. 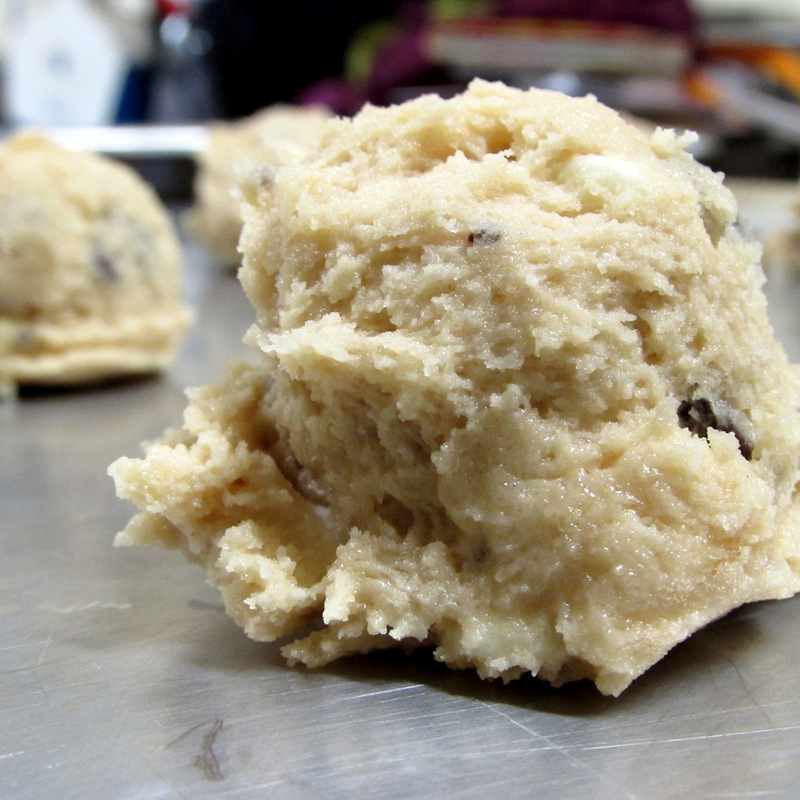 Over-baked cookies are a sin. Right up there with Hammer pants, black tennis shoes, short-alls, tie-dyed T’s, margarine, store-bought crust and paper plates. Do. Not. Over. Bake. The Cookies. Try them. Try and you will like them. 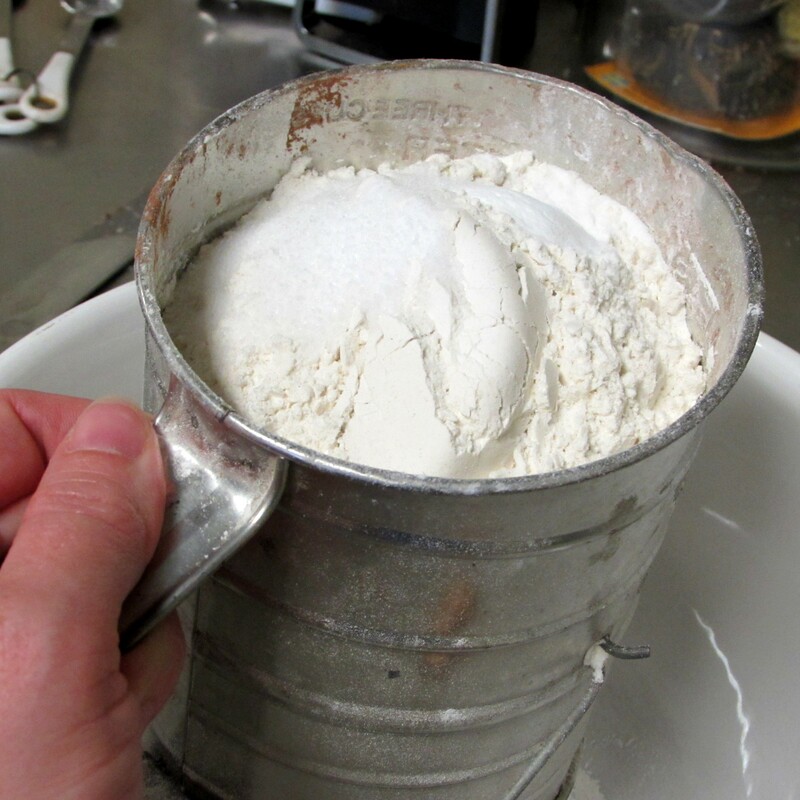 Sift the flour, baking soda and salt into a large bowl, set aside. 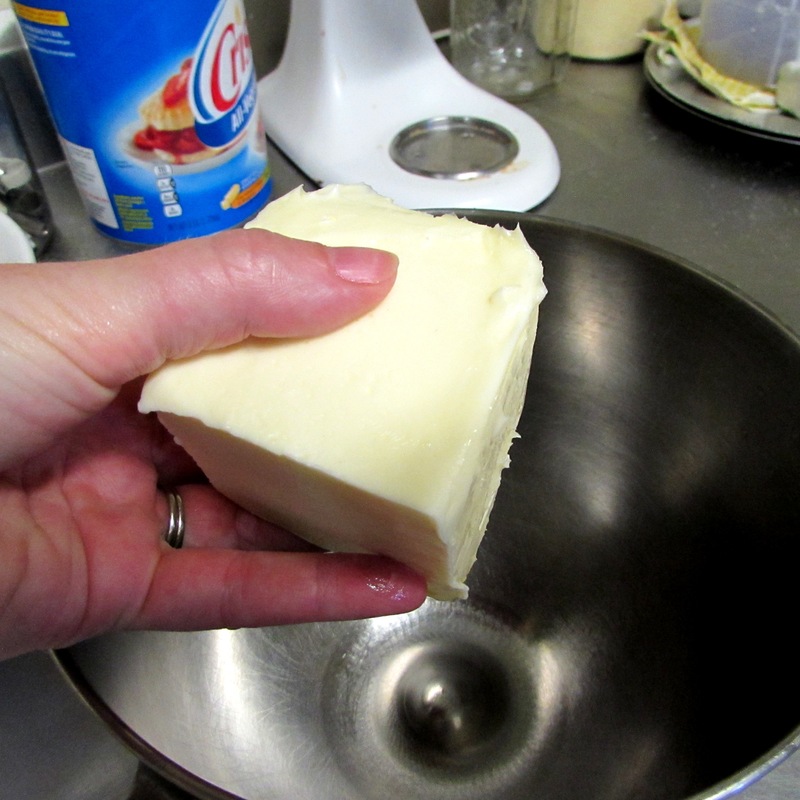 Using a stand mixer with paddle attachment cream the butter and both sugars until well blended. Add the eggs, one at a time, beating well after each addition. Then add the extracts, stir to combine. 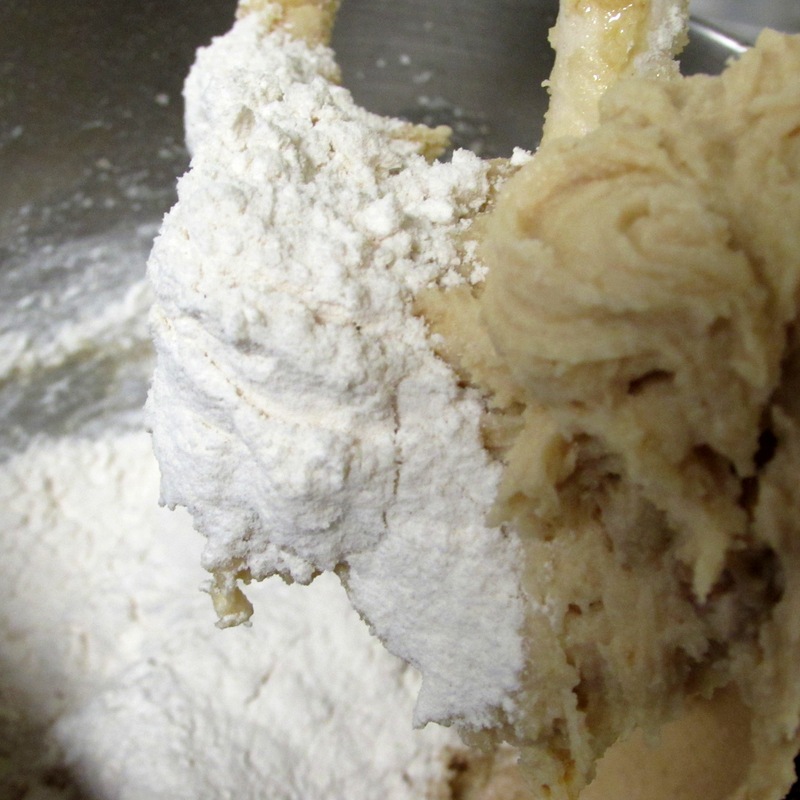 Slowly add the flour, 1 cup at a time, just until well-blended. Stir in the chocolate morsels. Place on a cookie sheet using a cookie scoop to ensure uniform size, bake in preheated oven at 350 for 10-12 minutes or until light brown. Let cool a few minutes before removing to wire rack to cool completely. Yields about 3 dozen cookies. ← He Finally Came Down……. Gee thanks Rachel! Here I have gained 5 pounds just looking at the pictures! Shame on you but it is true, nothing says lovin like something from the oven especially those cookies! Yummy! Pillsbury dough boy said that I think of whom I now have a close resemblance! haha! Well butter DOES make everything better! Oh, great photography too! They taught me in the Mickey Mouse photography school to catch the action of something moving so as to blur it with a slow shutter speed as you did the paddle on the mixer! My instructor would of been proud of you!